When thinking about things that need to be done, your car might not always be at the top of the list. Staying on top of necessary vehicle maintenance is quite important. At BMW of Westchester, we’ve put together these maintenance schedules to help you understand when your car needs attention. Drive through Westchester County, Yonkers, and Hartsdale in style with a car that you can count on. Knowing when to have your car serviced keeps your important investment protected. Our dedicated service professionals have years of experience when it comes to maintaining BMW vehicles. When it comes to a car, small repairs and minor updates can often prevent major issues. That’s why it’s important to keep track of necessary items. Each BMW model has its own specifications and needs, but following a maintenance schedule removes plenty of the guesswork. 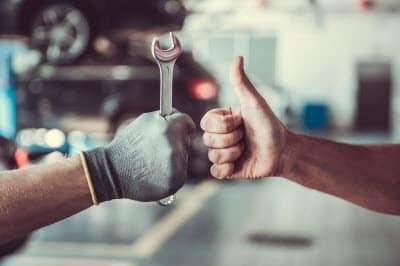 With a maintenance schedule, you know when an oil change is needed, when the tires need to be rotated, or how often the spark plugs need to be replaced. To say it simply: Following a maintenance schedule makes owning a BMW easier. There are many benefits to following the maintenance schedule found in your owner’s manual. Save money: Regular vehicle tune-ups cost less than more serious repairs. An oil change keeps the engine running smoothly, but not changing the oil could damage the engine and lead to an expensive repair in the future. Increase efficiency: When everything’s clicking the way it should, your BMW runs as it should. That translates to a smooth ride, and in many cases, the proper gas mileage. If your car needs an alignment or an oil change is ignored, that means the car must work harder, decreasing gas mileage and reducing efficiency. Retain value: There’s a chance you might want to sell your car down the road, whether it’s a trade-in to the dealership or privately. When maintenance is performed, the car retains a higher resale value. For complete BMW service in Westchester County, Yonkers, and Hartsdale, turn to the service professionals at BMW of Westchester. Find the maintenance schedule for your BMW on this page and stay up to date with all vehicle service. Our goal is to get you in, out, and on your way with minimal interruption to daily life.